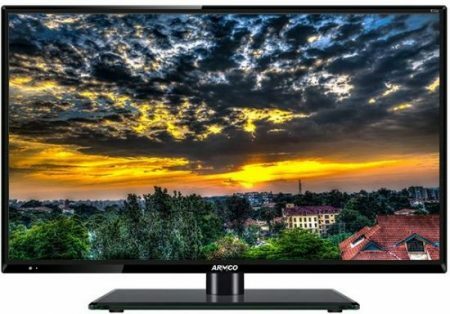 Here is a review of Armco TVs including latest Armco TV prices in Kenya? For over 40 years, Armco has provided Kenya and the larger African market with TVs and other electronic products manufactured specifically for the African market. It is sold and distributed by Armco Kenya. It also distributes a wide range of electronic products including televisions and home appliances. Go Straight To Armco TV Shop! They have their headquarters and service center in Westlands, Nairobi. One main advantage of buying an this TV is they are built with the African consumer in mind, thereby having excellent and additional features like supporting both AC and DC power. Additionally, Armco TV prices in Kenya are very cost effective. ARMCO 15 inch HD LED Digital TV See Price! ARMCO 19 inch HD LED Digital TV See Price! ARMCO 22 inch HD LED Digital TV See Price! ARMCO 24 inch HD LED Digital TV See Price! ARMCO 32 inch HD LED Digital TV See Price! ARMCO 40 inch Full HD LED Digital TV See Price! ARMCO 43 inch Smart Digital TV See Price! African Radio Manufacturing Company was formed in 1972 as a joint venture following the Kenyan government partnership with Sanyo electronics with the objective of providing electronics that meets the needs of Africans. However, with the advent of liberation in the early 1990s, it was no longer a viable venture as well established and cheaper TV brands came into the market. Sanyo Armco as the company was known, had offices in Kenya but with its production plant in Japan. However, after a string of losses, Sanyo was acquired by Panasonic electronics and Armco acquired by Armco Kenya. These TVs are made with the Kenyan consumer in mind. Most of their TV sets support both AC and DC power systems. 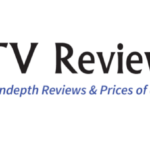 In addition, they have been quality tested in the African market as opposed to other flat screen television sets that are tested in European and American markets. Furthermore, with this TV, you are sure to get a TV that has been tried and tested specifically for you. All their TV sets come with a one year warranty. Armco TV prices in Kenya are very affordable as one can get a quality TV with less than KES 15,000. Additionally, they have high quality, elegant and stylish look that easily compliment your home decor. Unlike other TV brands that reserve quality features for expensive models, these TV has equal quality regardless of size. Furthermore,they are built to withstand Africa’s unstable power. They are digital TVs which means they come with an inbuilt decoder that allows one to watch free to air channels in Kenya.This is an advantage as one does not have to buy a decoder to watch local channels. Furthermore, it support multimedia connectivity as it comes with several ports including HDMI, USB, VGA and Cable ports.This allows you to connect your TV to any external media devices. The TV also comes with several features that make it worth buying. To begin with, it has a PVR function that allows one to record live TV to view later. This feature will allow you not to miss any of your favorite program as it can be recorded for you.Additionally, the TV is not only an energy saving TV, but also allows use of both AC and DC power. If you are looking for the perfect TV for upcountry, you should not overlook Armco TV. This is one of the only TVs made specifically for Kenyans. It comes highly recommended and you will be entitled to a one year warranty. this means that any technical issues you face after purchasing this TV will be resolved by their technicians at their cost . If they are unable to resolve it, they will give you a new TV. This is a key selling point for this TV in Kenya.